Reline console is designed to change the usual solid top sideboard. There are 2 top layers. First layer is repeating thin solid rods. 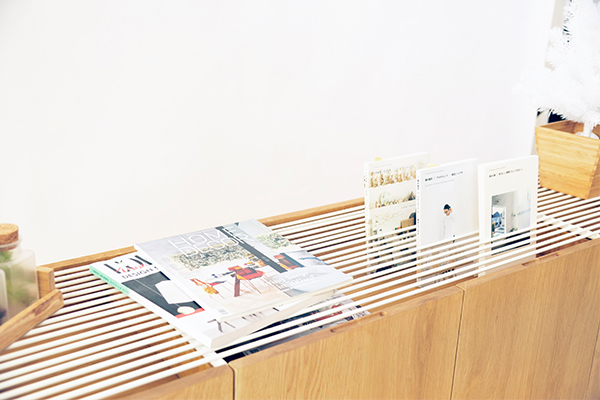 The second layer is wood shelf. When these 2 layers combined, users can use it to put cd, magazine, book or picture frame.